Hands up who loves to have a mooch around other people’s homes? 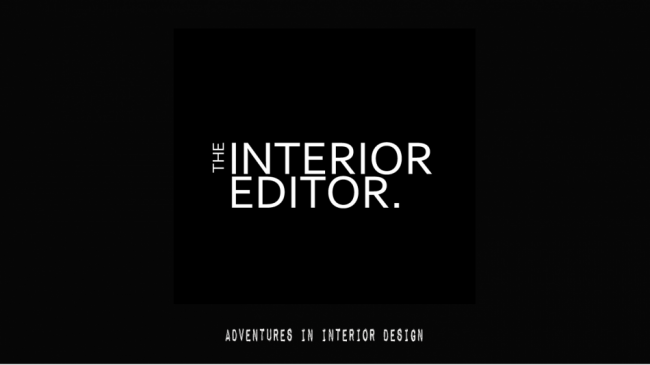 I have to admit that it’s always been a bit of an obsession of mine over the years whether it’s browsing through interiors magazines or on a daily commute catching a glimpse as I’ve passed by on the bus. I’ve always been intrigued by how others utilise and decorate their homes. It’s also probably why I’ve had so many near misses with lampposts whilst out and about! I also love finding the unexpected which brings us on to today’s post. I’m excited to say that today is one of the first of my Real Home Tours and we are looking at the home of Sally Worts and thankfully we can have a mooch around without the fear of lampposts or neck strain from the comfort of our homes. Ready?…..
Instagram is a treasure trove full of interior style mastery and one that stands out from the crowd is the eclectic, dark and glamorous home of Sally Wort who goes by the name of Flower_Heart_Flower. There’s a lot we can take inspiration from even if you’re not a lover of the dark or eclectic styles. Sally has an expert eye for detail and has mastered the use of texture to its fullest to create a home that oozes character and the dramatic. Sally’s home is also proof that sometimes the facade of a home doesn’t always tell a story of the actual home inside as you would never have guessed (I didn’t) that Sally lives in an 1880’s barn conversion in the tiny village in North Yorkshire. It’s home to Sally, her husband, 2 sons and 3 dogs (she also has two older sons who have both left home) and she’s kindly agreed to my showing you around. How lucky are we! Expertly blending old with new Sally has spent the last couple of years concentrating on making some big changes to their living spaces. Dating back to the 1880’s Sally’s family home has only been a residential dwelling for the last 30 years. I love how Sally has retained and utilised some of the architectural features of the original building to compliment her modern and eclectic decorative choices. The original details such as the stone walls above offer your eye the textural qualities that are needed to pull off darker styled homes. The old and new marry-up beautifully together and are a feast for the eyes. The majority of the barn is painted in Farrow and Ball’s Railings which has become the perfect backdrop for Sally’s interesting array of eclectic art pieces. There’s nothing like art to lift and show off the personalities of those that live there. Decorating in one colour like Sally has, helps you visually take in a room (or in this case the stairs and landing) as a whole as there are no defining areas for your eye to rest upon. It can make a room or space feel larger than it actually is. It’s a trick the Georgians implemented and one that maybe we should embrace more. If you’re going over to the dark side, ensure you add layers of light and/or reflective surfaces as well as lots of texture to stop it from looking cave-like. Art/pattern can be used to draw our attention to certain areas within a space or room and will provide visual interest. As well as being an avid art lover/collector, Sally has also recently fallen in love with wallpaper. I think you’ll agree that Sally has definitely conquered the mastery of layering pattern on pattern with a splash of art on top. It may seem a brave move but actually, if you stick to what you love everything usually falls into place and you’ll find you’re natural ability to be drawn to a certain style will normally create a cohesive scheme. My advice, be brave and go for what you love as you’ll end up with a home that will make your heart sing! 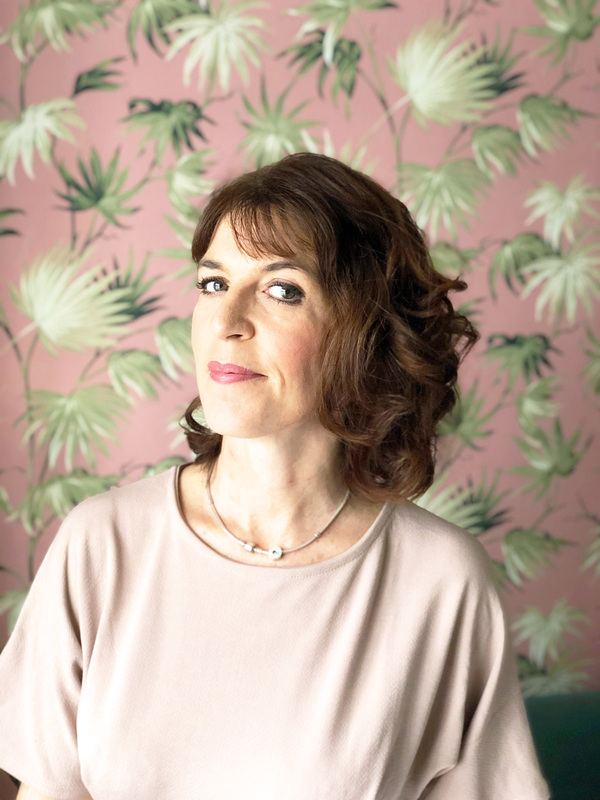 And if you’re wondering where to acquire the beautiful wallpaper designs that Sally has chosen for her home office and her landing above, they are both by the super talented Anna Hayman Designs. Sally is a massive fan of Anna’s designs together with Rocket St George. I think you’ll agree Sally’s home and Anna’s designs look very much like they were made for each other. 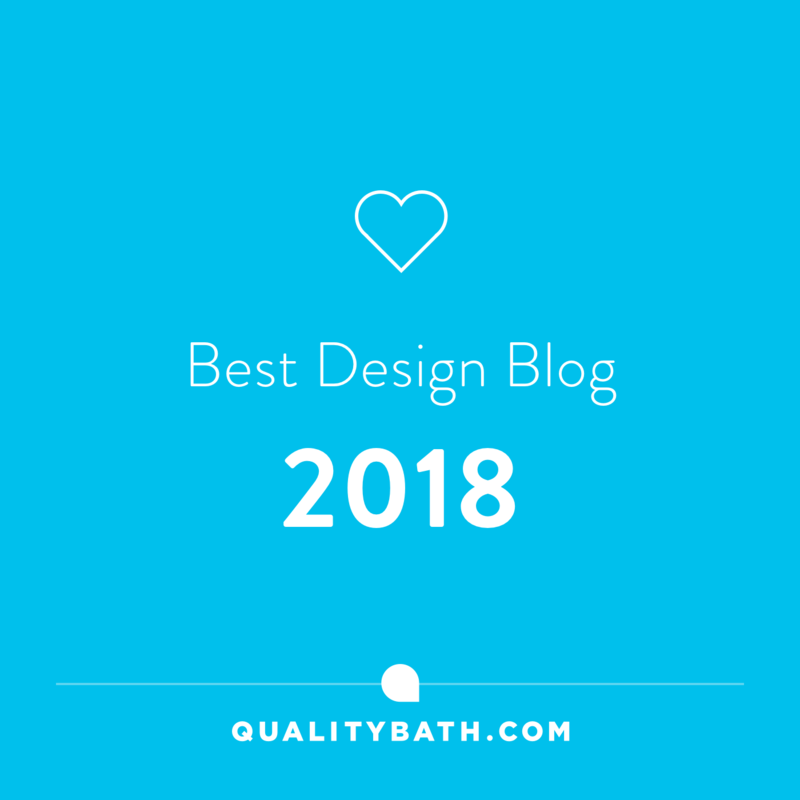 If you need proof that bathroom spaces need not be boring and you can inject character and personality into what is often a cold and sterile space, then you may want to take some inspiration from Sally. Sally has layered lots of different textures from the slate tiles, to the wicker basket, and plant. Again art on a larger scale breaks up the walls and the upcycled mannequin indoor planter legs from Muck and Brass adds the unexpected and certainly steals the show don’t you think? Natural light is important to any home and Sally’s hallway has plenty through the large full-length windows and glazed door. It brings to life all the beautiful contrasting textures and creates a welcoming home. Use light to highlight specific areas or art to create visual interest like Sally has. This tiny corner has been brought to life with a table lamp showing just how much of an impact lighting can have. By decorating in one predominate colour like Sally has throughout her home ensures there are no visual barriers between rooms, which in turn helps you to see further into the connecting rooms and can actually make a space feel larger than it actually is. If there is one thing that most of are afraid of, it has to be dark colours. Even more so when painting woodwork and ceilings. We have become so accustomed to painting these white, it feels unnatural to paint them in the same colour as the walls. However, it’s a great way to show off accessories and artwork as they stand out in contrast. Sally has also used this to her advantage to show off her love of pattern especially with her new-found love of wallpaper. Sally’s home oozes drama and atmosphere, as well as energy, which is transmitted through the use of small pops of metallic texture and colour and of course pattern. I adore the fact that the smallest amount of any colour, in a predominately dark style space, makes it sing louder than it would do in a more colourful setting and therefore has more impact. Less is more in this case! The word ‘black’ often conjures up negative images of darkness, mourning, as well as authority and status. So it is no wonder that when contemplating a design scheme, black or darker colours such as Railings isn’t going to be an obvious choice, especially with colour trends being introduced year in, year out. That said, black is timeless and presents itself wonderfully in our interiors as it does in Sally’s family home. The bar area is the latest part of Sally’s home to be designed by her and I have to admit its one of my favourite areas especially with the statement ARKOS lamp and it’s copper artichoke lampshade from the guys at Iconic Lights. It’s also on sale as I write (£124 from £175) and I’ve been inspired by Sally’s to add it to my wish list for our living room. It’s clear that Sally has made a home that is truly unique to her and her family. Embracing her love of art and unusual finds that meld together to form a home that is full of character and personality. Her ability to mix old with new and by going with what makes her heart sing shines through in every room. It’s a home built from the heart and not from what’s the latest trends. I absolutely love her home and I hope you have too! You can find more of Sally’s fabulous home over on Instagram here.